Resistant to mainstream ideas of national identity, artistic success, and artistic conventions, Roy K. Kiyooka’s flexible, unconventional use of language in his poetry voices his Japanese-Canadian ‘inglish’ and questions his Canadian identity in light of the internment faced by Japanese-Canadian citizens during World War II. Kiyooka’s poetry has been anthologized in Canadian poetry collections and in the posthumously published Pacific Windows, edited by Roy Miki. In 1987, his Pear Tree Pomes was short listed for the Governor General’s Literary Award. However, despite his national recognition, Kiyooka remains relatively unknown outside academic and literary communities. In recognition of the twentieth anniversary of his passing, the students of ASTU 400M are showcasing original print chapbooks of Kiyooka’s work and archival material to commemorate his enduring influence and unforgettable contribution to Vancouver’s (and Canada’s) artistic scene. Hosted at Rare Books & Special Collections on floor 1 of Irving K. Barber Learning Commons, the exhibition runs March 17-31, 2014 and is accessible 10am-4pm Monday through Friday and 12pm-5pm Saturdays. Vancouver Art Gallery., & Kiyooka, R. (1975). 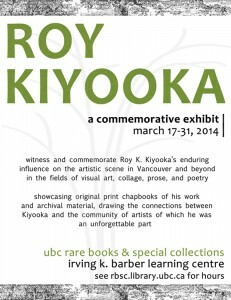 Roy K. Kiyooka: 25 years : an exhibition organized and circulated by the Vancouver Art Gallery. Vancouver, B.C. : Vancouver Art Gallery.  O’Brian, J., Sawada, N., Watson, S., & Emily Carr Institute of Art and Design. (2002). All amazed: For Roy Kiyooka. Vancouver, BC: Arsenal Pulp Press.